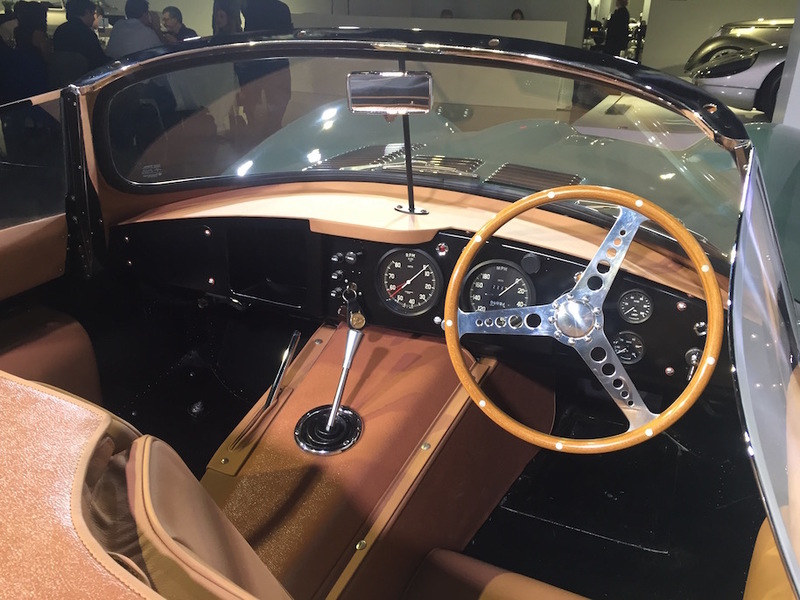 There are some gorgeous new cars on the floor of the 2016 L.A. Auto Show, but the most stirring vehicle unveiled in Los Angeles during the event’s press preview days offers an aesthetic direct from 1957. And, you have to think somewhere Steve McQueen approves. At a special media dinner at the Petersen Automotive Museum, Jaguar finally pulled back the silken tarp from a car originally announced at the 2016 New York International Arto show. When the show was over, a time-traveling supercar not seen since 1957 lived again. The true story behind the Jaguar XKSS demands poetic flourishes and references to resurrection and phoenixes rising from the ashes. When first built in the 1950s, it was the world’s first supercar. It was beloved by racers and celebrities. Steve McQueen’s XKSS is a key part of the Petersen Museum’s collection. 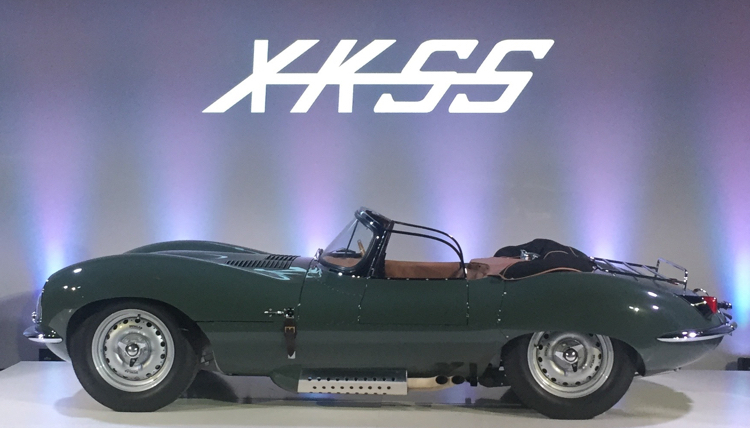 Based on the Jaguar D-Type that won LeMans three years running, the XKSS would be offered in a limited run of 25 vehicles using the same chassis that dominated the racing world. In the midst of that plan, automotive tragedy flared. During the manufacturing of the 1957 XKSS fleet in the UK Midlands, the last nine models were destroyed in a factory fire — leaving nine unused VIN numbers. So, this year, Jaguar announced they would rebuild those lost nine cars to their original specs to celebrate the model’s 60th anniversary. 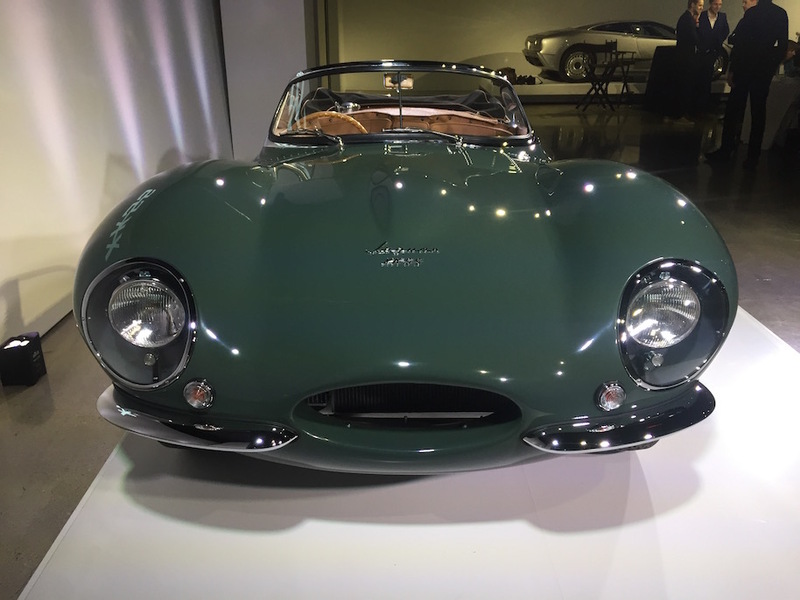 While an original LeMans winning D-Type sold at auction during the Pebble Beach Concours de Elegance this year for a record price of $19.5 million, Jaguar boffins worked for more than a year on recreating the XKSS. The first completed car from this classic re-creation arrived in Los Angeles just in time for this L.A. Auto Show. Engineers at JLR Heritage – Jaguar and Land Rover’s restoration and re-creation specialists — pulled off something similar when they constructed six long-lost Jaguar Lightweight E-Types in 2014. For the XKSS rebirth, they scanned four original XKSS builds and worked from archive reports to replicate materials, metallurgy, machining, fabrication, etc. Everything in the car was created from scratch without a single bolt coming from another pre-existing vehicle. 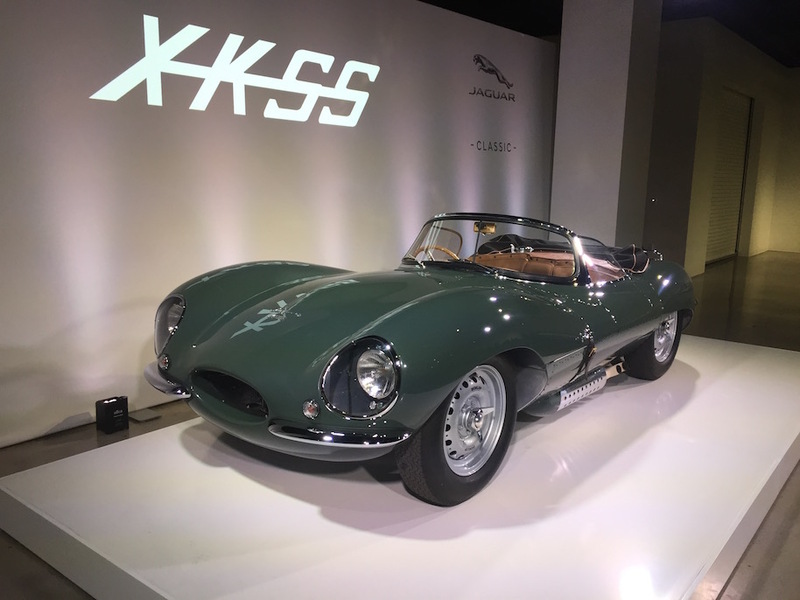 Known as Car Zero, the XKSS shown at the Petersen will remain with Jaguar as a show car and a museum heritage piece while the nine “for sale” versions are completed. All nine were sold, sight unseen, in short order for an estimated price north of $1 million. Rumors muttered at the Petersen event say a majority of buyers were American – and the list of interested parties turned away included some well-known auto enthusiasts. Some of the nine lucky, well-heeled buyers were on-hand and incognito at the Petersen for the L.A. Auto Show reveal. 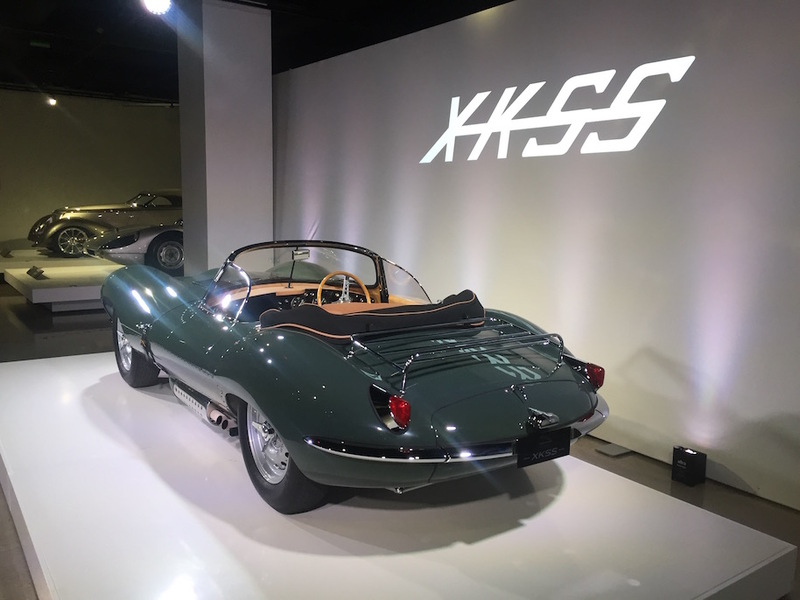 There was something reassuring about seeing the XKSS alive again at the Petersen this week. In an era when so many of the cars back at the L.A. Auto Show are, bright, shiny and wholly similar to each other in aesthetic and performance, each XKSS was unique. Hand assembled, the cars possessed quirks and personalities that the robot-honed machines of today lacked. While only nine of these beauties will exist out in the world, meaning theres very little chance you and I wold ever drive one, it’s good to know these beautiful examples of artistic imperfection are rumbling down the road somewhere.